ZION. DENALI. MOJAVE. 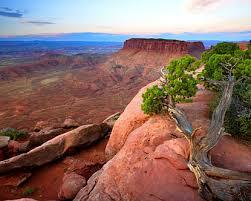 CANYONLANDS. DINOSAUR. GRAND STAIRCASE-ESCALANTE. THE ARCTIC REFUGE. These are some of America’s most beloved national parks and public lands. They share rare wildlife, clear waters, and awe-inspiring majesty. They share something else, too. They are all in the cross hairs of a plan to authorize counties and states to bulldoze and pave thousands of miles of new roads, and to open these lands to development and off-road vehicle interests. The tool of choice to damage and degrade our national treasures is Revised Statute 2477, an obscure, repealed, Civil War-era law that could allow industry and its political allies to argue that long-forgotten or little-used foot and animal tracks, or illegal off-road vehicle ruts, are “constructed highways” that state and local governments can control. To understand what all the fuss is about, read more or download our brochure. TAKE ACTION! 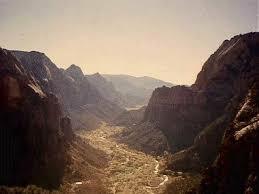 Find out how you can help save America's Redrock Wilderness from bogus highway claims today. Find out how R.S. 2477 affects you! BLM could reward law-breaking County in Utah with illegal right-of way: Find out how an unprecedented give-away of a dirt road crossing public lands threatens our National treasures. BLM gives a nine-mile route to Kane County and conservation groups urge reconsideration of this public land giveaway. Learn more. Wildland CPR overviews RS 2477 claims in our National Forests. Read. Environmental groups earn victory for Surprise Canyon: In late July 2007 a federal judge dismissed a case brought by a group of off-road vehicle users claiming an R.S. 2477 right-of-way through Surprise Canyon. The decision protects a rare, fragile creek running through Surprise Canyon, in Death Valley, from off-road vehicle users who would drive through it and the canyon's unique rock structure. Read a press release. Learn more. Kane and Garfield Counties can't undo protection of Monument: A federal judge ruled that two Utah counties don't have the right to claim that ruts and wash bottoms in Grand Staircase-Escalante National Monument are "highways" and a playground for off-road vehicle users. Read a press release. Read the Judge's Opinion.